Boiling Point Blog: Feminist, LGBT and progressive political cartoons: Cartoon: HEROES of a GREEN TOMORROW! 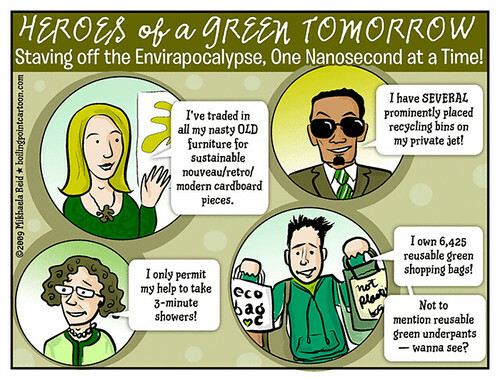 Staving off the Envirapocalypse, One Nanosecond at a Time! For more on why I drew this cartoon, see this rant and this rant. And yes, of course I recycle and bring reusable bags.